A tough start to the week… But it will get better! Last Wednesday I went home ‘sick’, I stayed off until Monday, I decided for the first time in my life I wouldn’t rush back the next day. I felt much better than last Wednesday, but it’s very difficult to know how ‘well’ you are when every morning is so difficult, and every day so dependent on the activities that it holds. Work was ok, a good distraction, but generally when I’m distracted, I forget quite how much I’ve done. It was a busy day Monday, and an even busier Tuesday. And it’s only when I sit down at 3/4pm to do my notes for the day that I realise I can’t get back up again, and by 4.30pm my hand is fixed in the pen holding position! Doh… Maybe I’ve done too much again. But I feel so guilty that I already have a light case load, because as a team we are so stretched at the moment with staff shortages, I already feel like I’m not pulling my weight. Tomorrow is a day off, I have started to use my holidays to take days off in the week to break the work up…. Hopefully this will work… But right now, as I struggle to type, struggle to move on the settee, struggle up the stairs, struggle to hold my tooth brush and struggle to get comfy in bed, I don’t know if one day is enough. Let’s hope so! 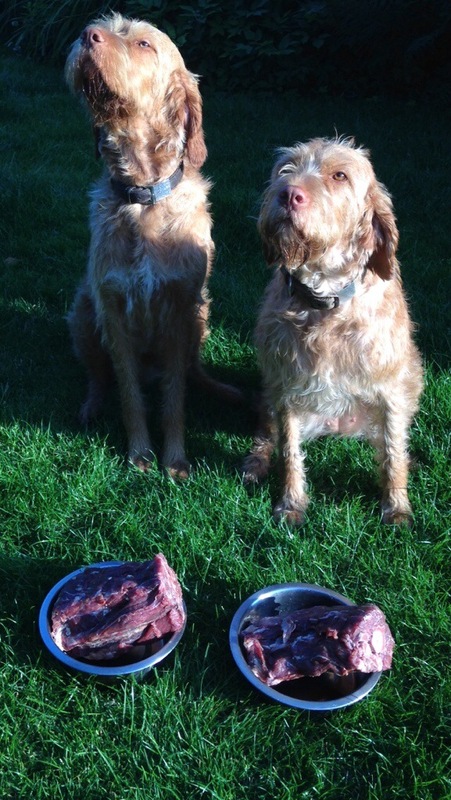 Zeus and Riva this evening with their birthday tea… 3 years old today! Sadly I haven’t made it out on their birthday walk.